"We love tequila. On the rocks, by the shot, at times straight from the bottle. Our idea was to make the best tasting, smoothest tequila whose taste didn't have to be covered up with salt or lime, so we did." George Clooney never ceases to amaze me... Actor, filmmaker, activist, husband of Amal (aka the best-dressed human rights lawyer & activist on the planet), Oscar winner and now Tequila mogul. Yep, you read that right! Gorgeous George has paired up with a longtime friend & successful businessman Rande Gerber (aka husband of super model Cindy Crawford) and real estate developer Michael Meldman to join the ever-growing list of celebrities peddling alcohol brands - a list that includes Justin Timberlake, David Beckham, Drew Barrymore and Brangelina to name a few. However, while many celebrities simply lend their names to or collaborate with alcohol brands, Casamigos Tequila was founded and is still owned by George, Rande and Michael.... This isn't just an endorsement - Casamigos Tequila is the real deal, a tequila brand created by guys who drink (and love) tequila! Casamigos Tequila boasts three variation of everyone's favorite Mexican tipple, blanco, reposado and añejo, so there's something to suit any fine tequila-loving palate. It's worth noting here that blanco translates to white or clear, reposado means rested and añejo means aged. I was honestly surprised that Clooney's venture into the world of spirits would be with tequila. A fellow Kentuckian, I always expected him to jump on the bourbon bandwagon at some stage and perhaps some day he will. But for now, we have Casamigos, roughly translated as House of Friends, named for the holiday homes in Mexico shared by Gerber & Clooney where they love to entertain friends with the most enjoyable tequila. It seems they've got the right idea because tequila is if anything, something to be shared and enjoyed in good company. I love tequila in many ways for many things. 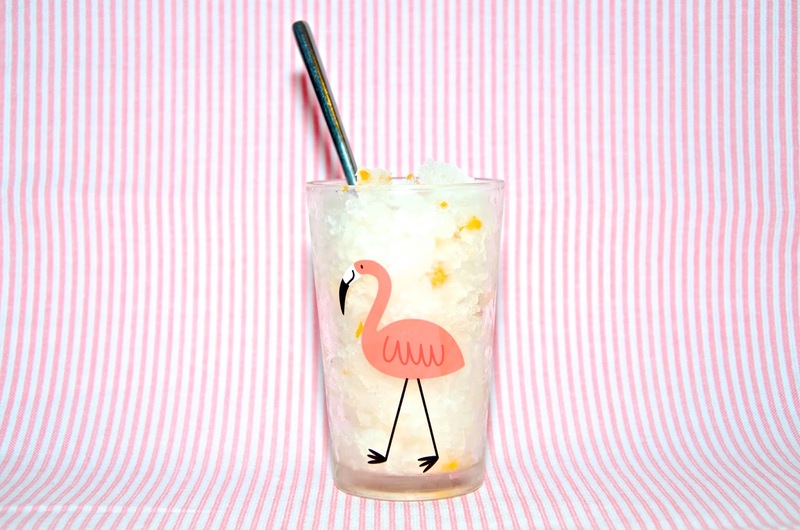 I love a good margarita and often make them for friends when they visit. I also love to cook with it and I've even been known to bake with the agave based liquor. 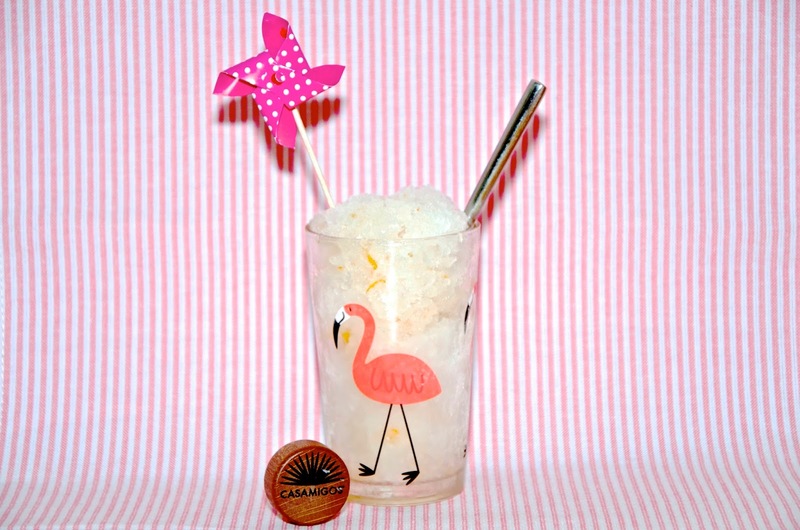 If I'm making cocktails, I usually go for a lovely blanco or a reposado, which is what I opted to taste and use for this recipe. This is not the horrid swill that made you sick in college. 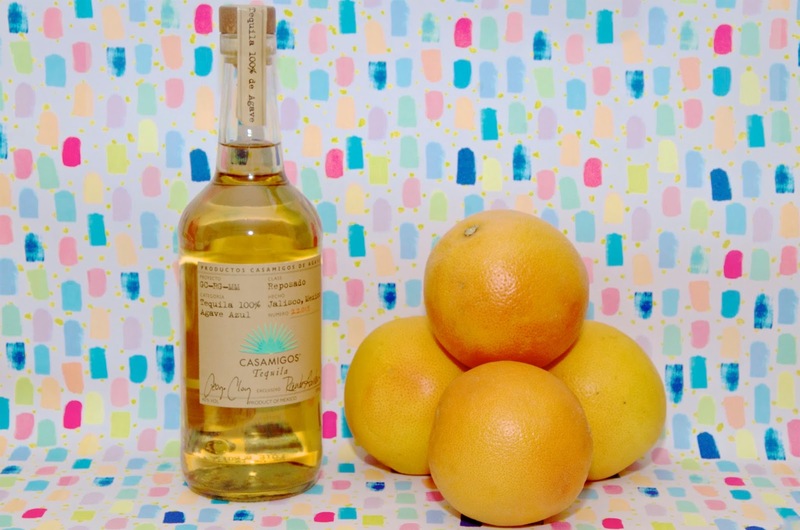 Casamigos Reposado Tequila is smooth, oaky, buttery and almost sweet with flavors of caramel. I would almost compare it to a really fine scotch because it's so easy to drink and has a medium to long finish. That said, you can still taste that it's tequila - there's no mistake, but I would challenge even the most adamant tequila haters to try a sip of this delicious reposado because it certainly stands in a class of its own. No wonder Casamigos has won so many awards. 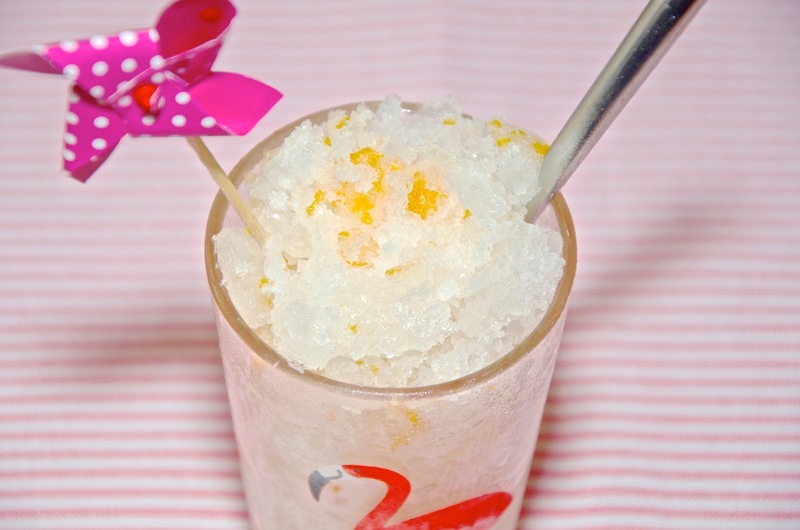 The caramel sweetness of Casamigos Reposado lends itself nicely to sweeter recipes, so I knew it would be perfect in a granita, which in my opinion is just a fancy word for a grown-up snow cone. The sharpness of grapefruit pairs beautifully with sweet sugar and the flavors of orange liqueur and a rich, deep tequila. 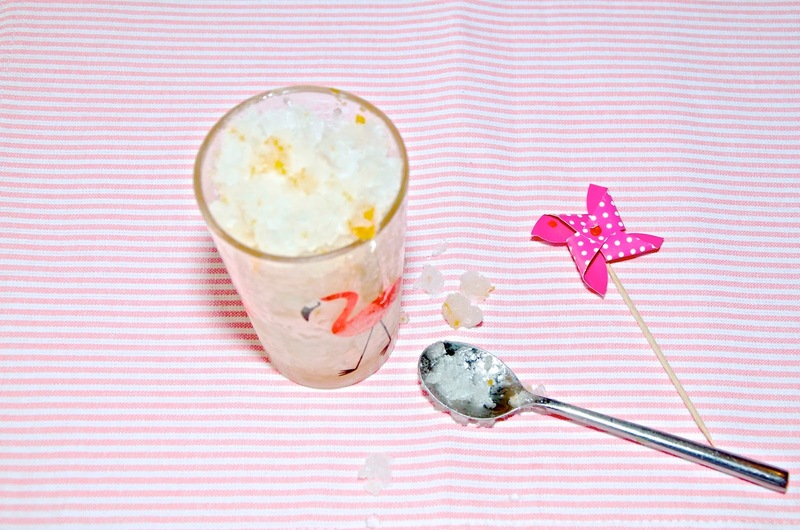 Whether in the heat of summer or the dead of winter, I find a granita never goes unappreciated at the dinner table. It's a light, flavorsome dessert that's just as refreshing as it is fun to eat. Furthermore, a granita is always the perfect choice when you're serving a heavier meal when there may not be much room left over for dessert. This recipe is super easy to make, but please be advised that you're best off starting at least 6 - 8 hours in advance or preparing the evening before you intend to serve it. If you're concerned about the alcohol content, you really shouldn't be. It's there more for flavor than anything else. There are only 4 tablespoons of alcohol in the whole lot which makes enough to serve 6 to 10 people, so this is not a dessert that's going to make you tipsy. 1. Pour the sugar and water into a medium saucepan and cook over medium heat, stirring gently and constantly with a wire whisk until the sugar has completely dissolved. Remove the syrup from the heat, pour into a dish or jug and set it in the refrigerator to cool for about 30 minutes to an hour. 2. When the syrup has cooled down significantly, remove it from the refrigerator and use a wire whisk to stir in the grapefruit zest, tequila and orange liqueur. 3. Pour the mixture into a shallow dish with a lid, cover and freeze until lightly set. This should take anywhere from 6 to 8 hours, so it's absolutely fine to do it overnight. 4. When the mixture is lightly set, use a fork to scrape and flake the icy mixture. Serve immediately in small glasses or bowls. Alternatively, you can put it back in the refrigerator until you're ready to serve, but it's advisable to check on it and re-flake it with a fork every 30 minutes to an hour to ensure that it doesn't freeze hard and solid. 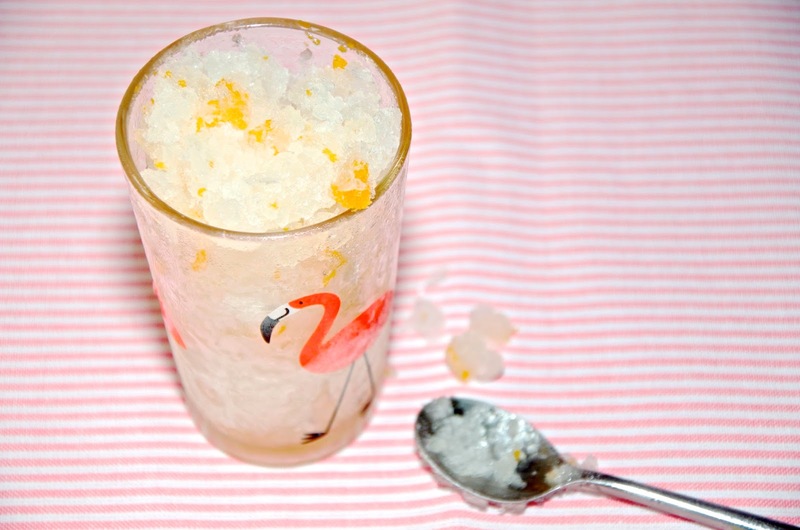 If you freeze your granita for too long and it becomes very hard, it's not a disaster. Simply leave it out in its container for 20 minutes or so until it becomes melted enough to flake through. If it melts too much, pop it back in the freezer and alternate freezing and flaking every 20 to 30 minutes until you have the right consistency. Casamigos Tequila is available online via Selfridges and Harvey Nichols. For more information, visit www.casamigostequila.com.